Your car vibrating after changed to a new rims? tire and rims definitely was not balanced off? Usually workshop personnel knows what to do if customers change to new tires and rims, of course they will be rotated (balancing process). If your car still vibrates even though the tires and rims rotated, check your new rims if there got any space in the middle, I mean in between the hub and the rim. Means that the wheel hub did not fit with the new rims / fully seated on the wheel hub. If this happens, I am sure your vehicle will vibrates at speed range of 90km/h and above. 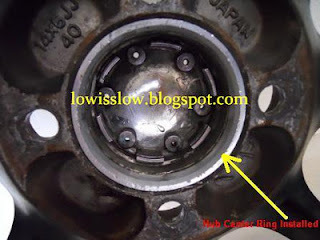 This problem can be solved by using "Wheel Hub Center Ring" or better known as the Center cone. 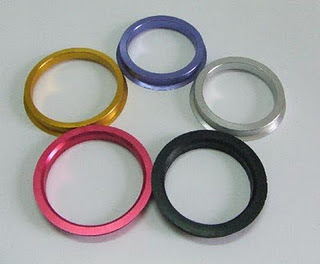 Center cone is available in various sizes for fit with. Picture below is an example of Center cone could be found in the market.